Remember the four most commonly diagnosed etiologies are endometriosis, adhesions, irritable bowel syndrome and interstitial cystitis. Acute pelvic pain: generally defined as pain in the lower abdomen or pelvis lasting less than three months. 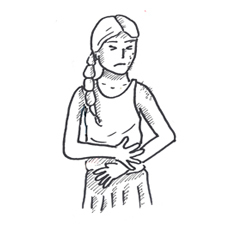 Side note While the commonest causes of chronic pelvic pain are endometriosis and chronic pelvic infections, over one-third will have an identifiable pathology. It is important to call a halt to unnecessary investigations: accept chronic pelvic pain syndrome. Analgesia – Opiates, Neuropathic pain?